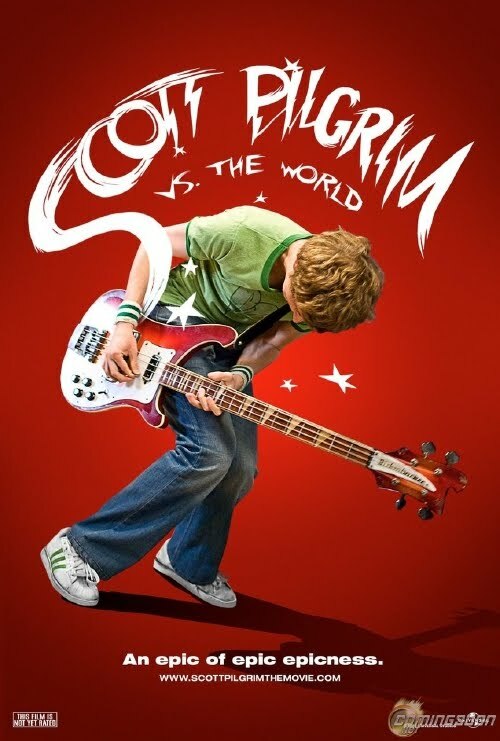 Cera continues his winning streak and seriously breaks into new ground with the title role of Scott Pilgrim. Director Edgar Wright has provided a completely original, fun and inventive film that is a pure representation of this generations love story. 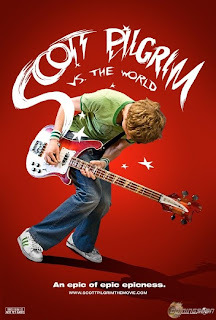 'Scott Pilgrim' is simply a feast for the eyes and more importantly the brain. No, it's not some elaborate story and it does not possess an elaborate plot, in fact it is very much the same story as every other Michael Cera movie, but it is the way, the style in which it is told that makes the film stand firmly in a league of its own. Its a simple story of boy liking girl and the obstacles he faces in trying to obtain that dream girl. Nothing to strange right? No, but then we meet the first of seven evil exes that belong to scotts hearts desire and so the fun begins and the film keeps a consistent upbeat tempo with its little quirks galore. Some could easily criticize it for being too reluctant on its gag of making life into a video game, but the movie never makes its intentions feel gag-like in any way. Instead, it feels like an experiment in what if real life was more like a video game, especially those the ones of a certain generation grew up loving on the NES. For the first hour or so this movie is completely fun and exciting-everyone in it is having a blast and even with the supplement of an alternate reality like Canada, the emotions are real in a way that translates to the target audience that this specific story and execution are aiming for. Certainly this film has a specific audience and it was hard for me to tell whether or not those not involved with this generational gap would care for, "get' or like the film. Its themes are universal though and it translates emotions into visual art pieces and does so in a wam pow comic book fusion that not only gets its tone and mood across correctly but is entertaining to look at and become involved in at the same time. 'Scott Pilgrim' isn't a video game and you can't control these characters as you would if you were playing a game, but you like where the story takes them anyway.